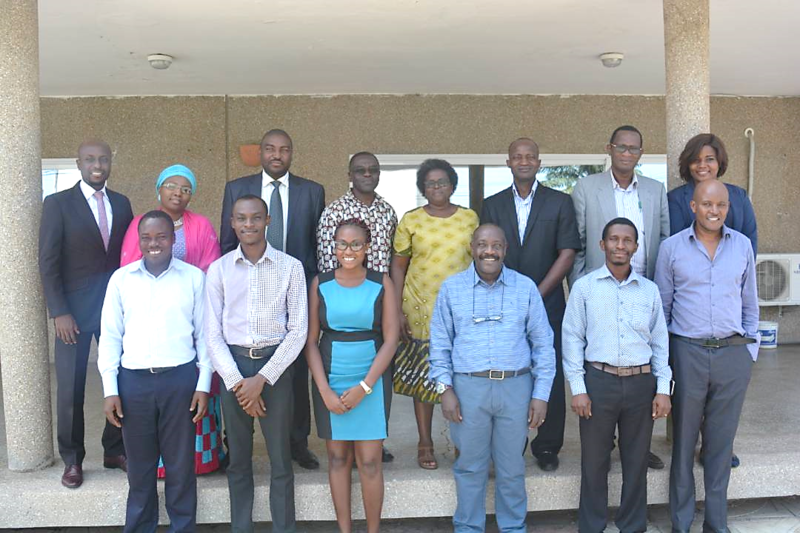 On Thursday, August 10, the African Agribusiness Incubators Network (AAIN) hosted leaders of the Emerging Young Entrepreneur Initiative (EYE) at its headquarters in Accra, Ghana. 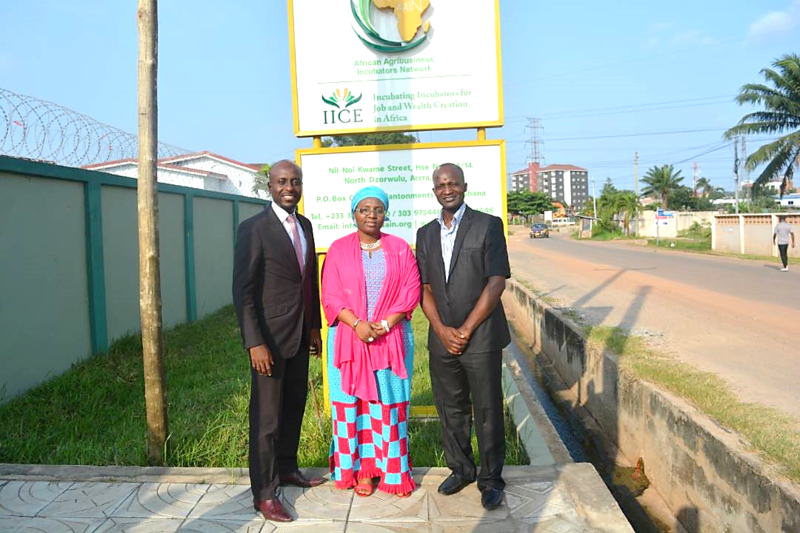 Representing EYE at the meeting were the Founders, Dr. Hauwa Lamino Abubakar, Isaiah Bulus and Abubakar Abdullahi while the AAIN team was led by Chief Executive Officer, Dr. Alex Ariho and Director of Business Development and Partnerships, Peter Kuria Githinji. 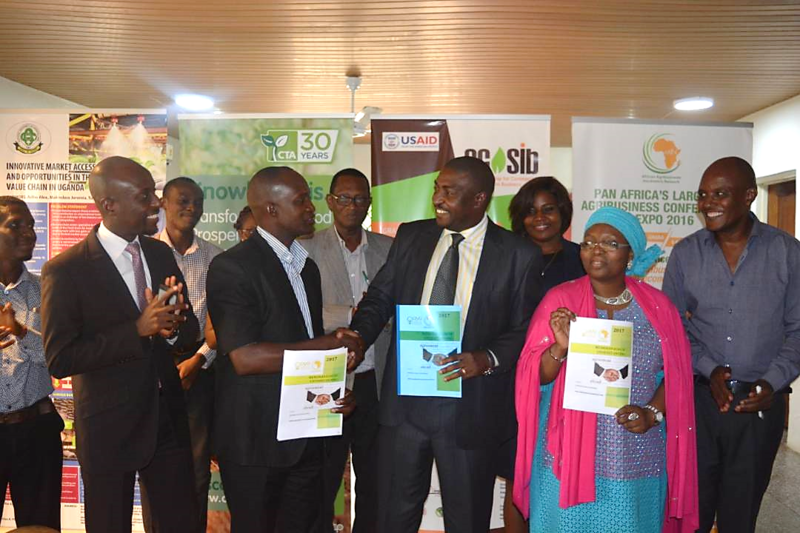 AAIN, which is the foremost incubator of agribusiness incubators in Africa (with over 150), has focal centres in seven countries and working relationships with the African Union (AU), African Development Bank (AfDB), and the Technical Centre of Agricultural and Rural Cooperation (CTA) among others. The meeting was an opportunity to share experiences, identify areas of strategic alignment and chart a course for mutual success in job and wealth creation. 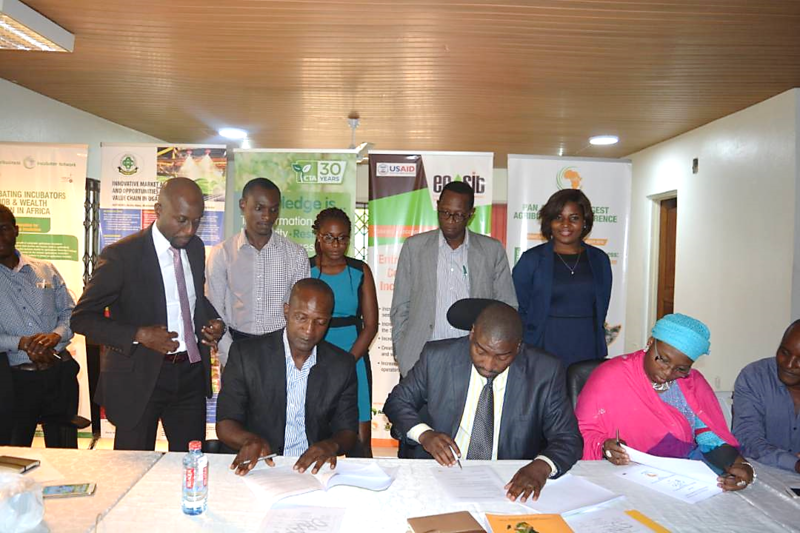 It ended with the execution of an MoU to build on identified synergy in the pursuit of strategic goals in Nigeria and across the continent. Speaking after the event, Abubakar Abdullahi, said the partnership had unlimited potentials but noted that real work was only about to begin.